On October 2, 2016, David and Diana Baldwin, Jeff Edwards and his fiancée Jennifer Jarvis set off for the adventure of a lifetime. 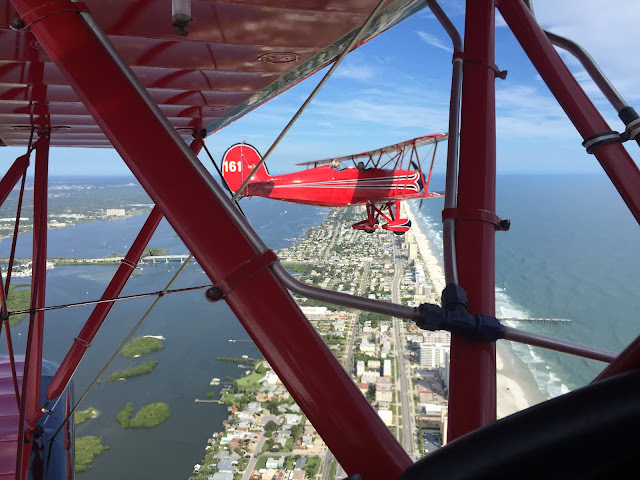 Flying at low altitude in a 1940 WACO and a 1978 Great Lakes biplane, the two couples set off from Spruce Creek on a 6 week journey across the United States. Please join us as our traveling friends as they share highlights of their adventure with the Women of Wings this Thursday, March 16th. All are welcome to join us for this special presentation. 12:00 p.m. Mix and Mingle with Happy Hour prices on wine only. Veggies and pretzels chips will be served during mix and mingle. Judicial Watch, Inc., established in 1994, is a conservative, non-partisan educational foundation that promotes transparency, accountability and integrity in government, politics and law. Judicial Watch uses the Freedom of Information Act and other tools to investigate and uncover misconduct by government officials. 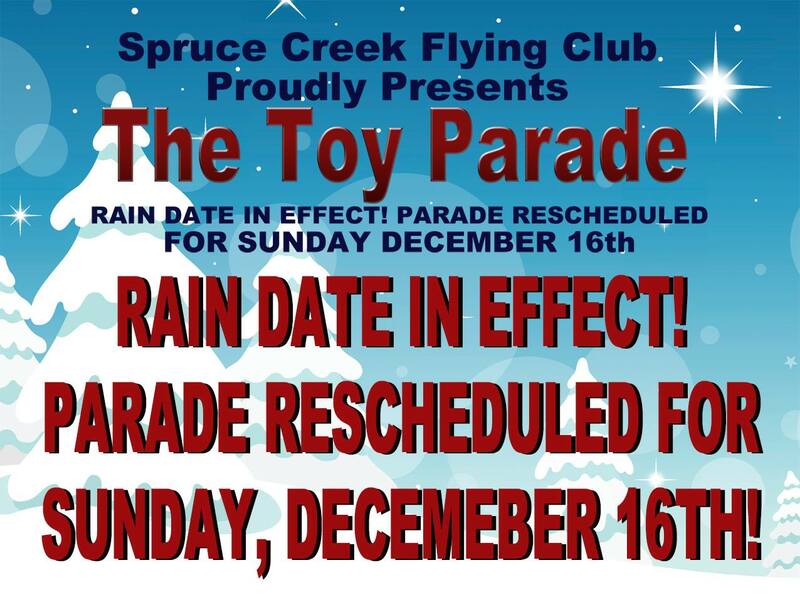 The Spruce Creek Flying Club is open to all Spruce Creek residents. Members of the flying club meet 6 months out of the year with featured guest speakers. 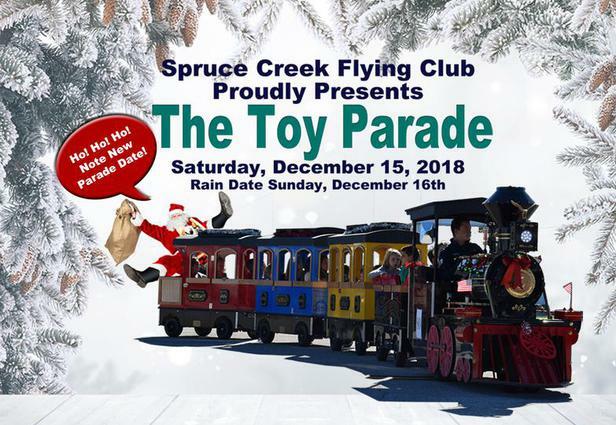 The Spruce Creek Flying Club is the sponsor of the Toy Parade for the past 28 years. This year’s date….. December 10, 2016. Nice evening at the Venetian Bay Country Club. 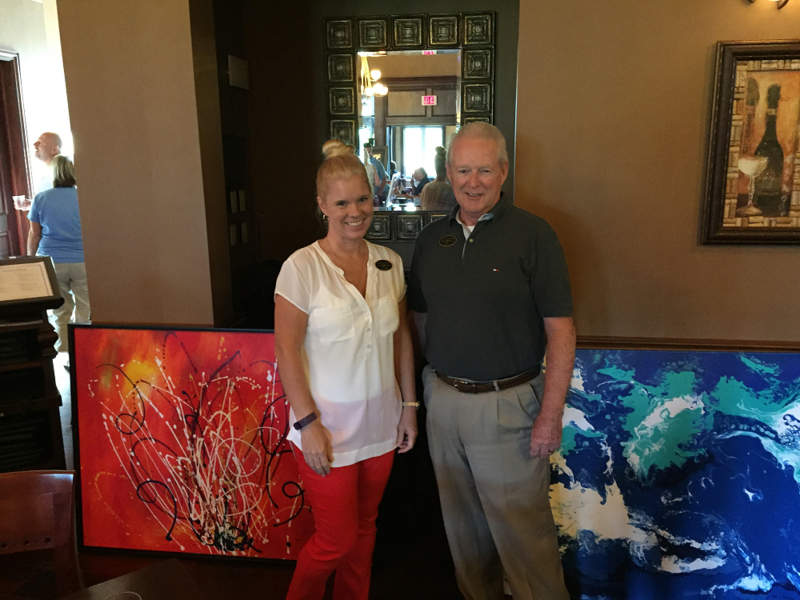 Beautiful Art & Great Wine! Join in the fun as the Spruce Creek Lunch Bunch embarks on epicurean adventures throughout the community. 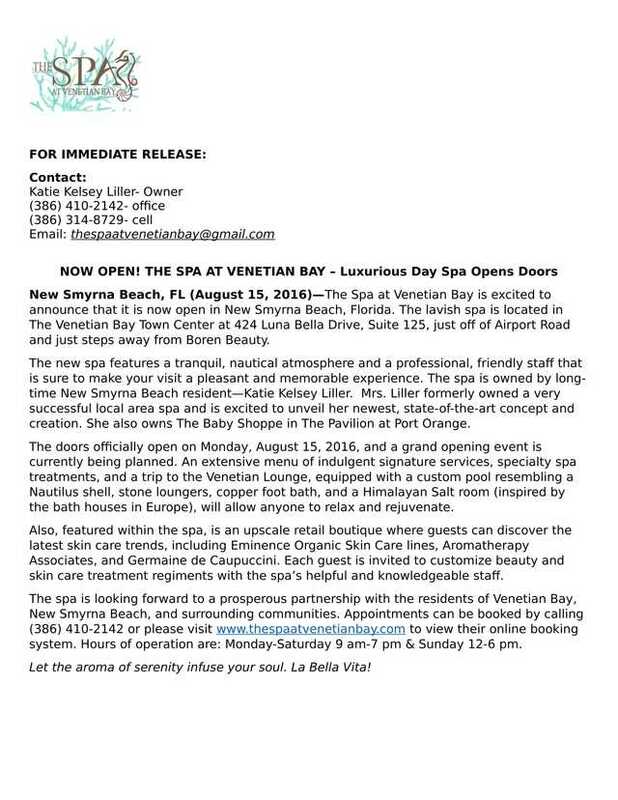 Welcome to yesteryear; another time and place in Downtown Ormond Beach. It is with great pride and aplomb that we bring you the latest incarnation of the 1930's in mind. It’s intended to be a time trip away from modern day cares and back to simpler times. Now through August 31st, the Spruce Creek Country Club's Prop & Fore Restaurant will be open to ALL Fly-In Residents for Lunch Monday - Saturday from 10:30 AM - 3:00 PM. Golf Course is in BEST condition ever! or visit sprucecreekgolf.com to book online. Keith Phillips Hangar: 222 Cessna Blvd. Born in a refugee camp, Shaesta traveled with her family from Afghanistan to America in 1987 to escape the Soviet-Afghan war. She went on to become the first certified civilian female pilot from Afghanistan and the first person in her family to earn a bachelor’s and master’s degree — both from Embry-Riddle Aeronautical University. Shasta started Dreams Soar to share her story with women around the world, to let them know it is possible to achieve your dreams, regardless of the challenges and traditions you may face. The Dreams Soar mission is to partner with strong female role models at the 31 stops along the route and together, share and promote the importance of STEM (Science, Technology, Engineering, and Mathematics) education. 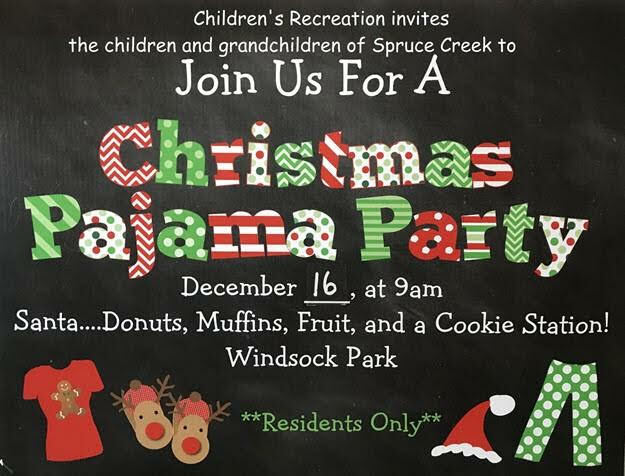 Come gather with your neighbors and fellow Spruce Creek residents every Friday evening at The Tree. The gathering starts about an hour or so before sunset. Anyone willing to help is asked to call Joan Harter at 492-4258. 9:00 a.m. in the POA office.